foundation we walk on is falling apart! The foot has three arches which support every step we make. When any one of those arches begins to give out and become overstretched the outcome is pain! Pain is not only felt in the foot, but the pain can linger up our body into our legs, hips and lower back. In the image here you can see that the entire body alignment is offset by a bad arch. Foot Levelers Orthotics are custom made for your unique arch. 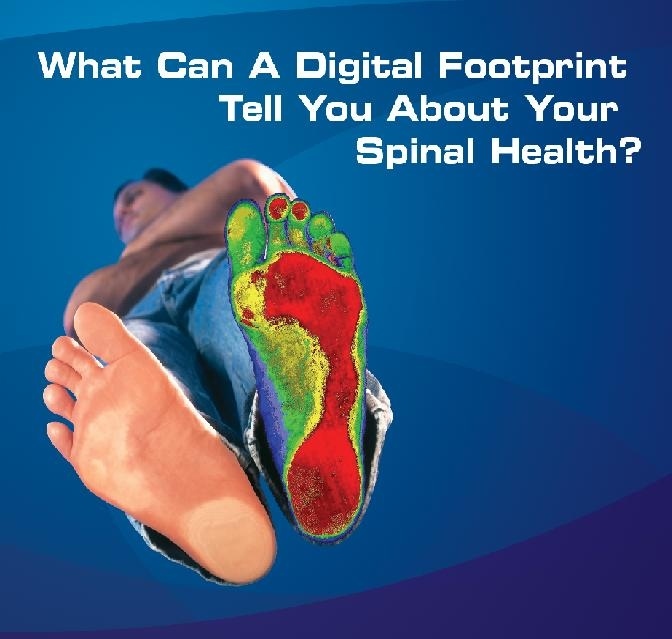 Foot Levelers has been in business for 50 years and they have designed a fail proof means for digitally scanning a person's foot. The digital scan is then electronically submitted for a quick turn around when building a custom orthotic. Treating the source of the pain will save you time and get you back to the lifestyle you enjoy! Orthotics can often be prescribed by your chiropractor and can last well over a year in most cases. This is a great investment into your overall health and well being via a bio mechanical standpoint.